I was getting the message, "The server failed to load information from Server "
The error, 'The server failed to load information from Server' appears when you click [Start update] button. 1. 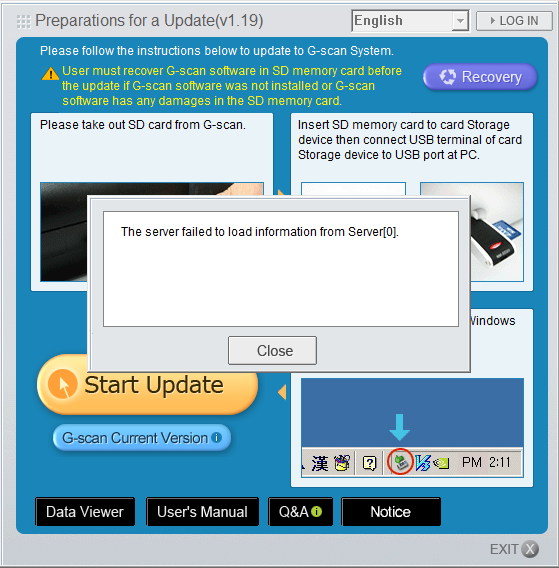 PC Utility for G-scan is not availble to use on Proxy network. If you use proxy network, connect other network which is not proxy. 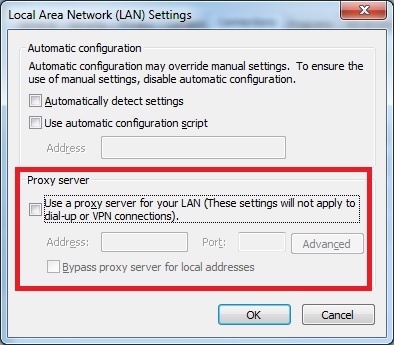 Check if your network is proxy or not as below. 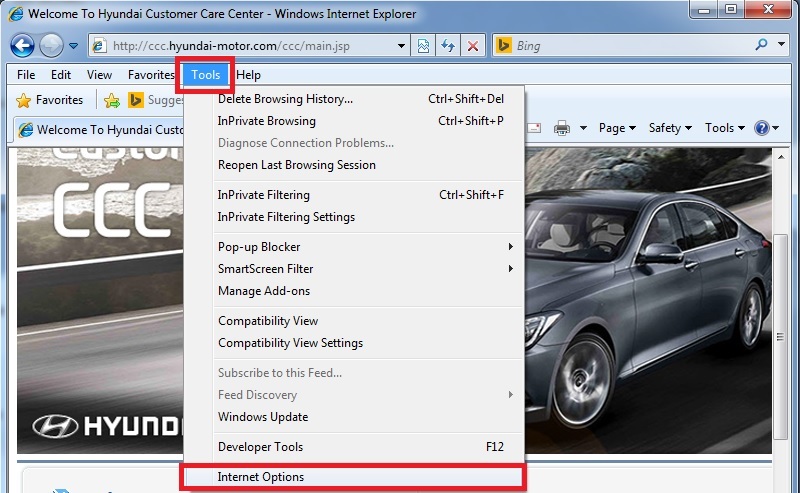 (2) Click [Tools - Internet Options] on menu bar. 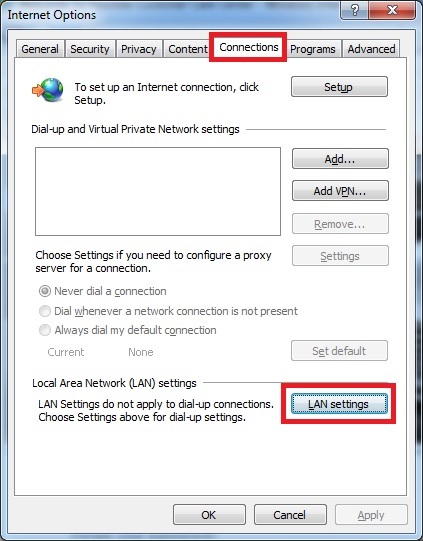 (3) Click [Connection - Lan settings] on Internet Options. (4) Check if it is proxy network or not. If this section is marked and there is some information on it, it must be connected to the proxy network. PC Utility does not work on proxy network. Connect private network and try again. 2. If you don't proxy network and still have same problem, it must be checked by GIT. Send us avialable time for remote session email(ics@gitauto.com).